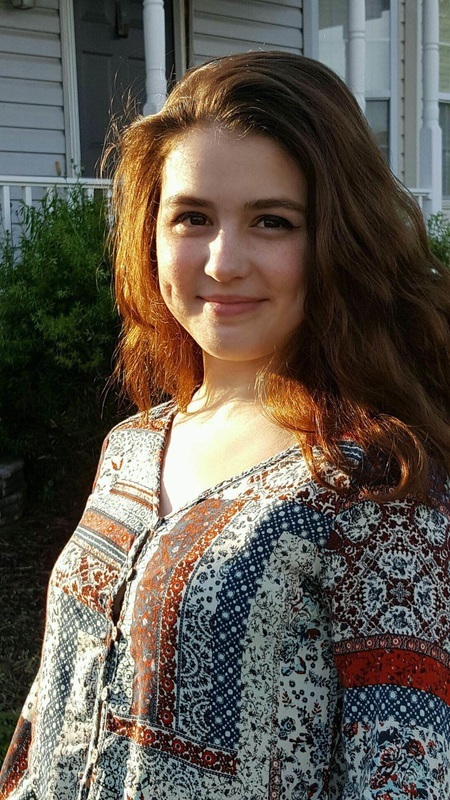 2017 ​Showcase Performance - Sunday, October 1 at 3:00 p.m.
Adeline “Adie” Baban, a junior at McLean High School (MHS), started having piano and violin lessons at age four. She was one of two incoming freshmen violinists to be accepted into her school's top orchestra, the MHS Philharmonic Orchestra, where she received the Director’s 2016-17 Musicianship Award for leadership and musicality throughout her sophomore year. She has also been a member of the McLean Youth Orchestra and will join the American Youth Philharmonic Orchestra during their 2017-18 season. She is a member of the Tri-M Honors Society and provides free violin lessons to elementary and middle school students through the MHS Music Buddies Program. During recent summers, she participated in the Intermuse International Music Institute and Festival, the University of Maryland High School Music Academy, and the Music Without Boundaries Workshop at Duquesne University. Adie has been studying with Diana LeGrand, concertmistress of the PanAm Symphony Orchestra, for the past three years and she hopes to study music in college like her two brothers. 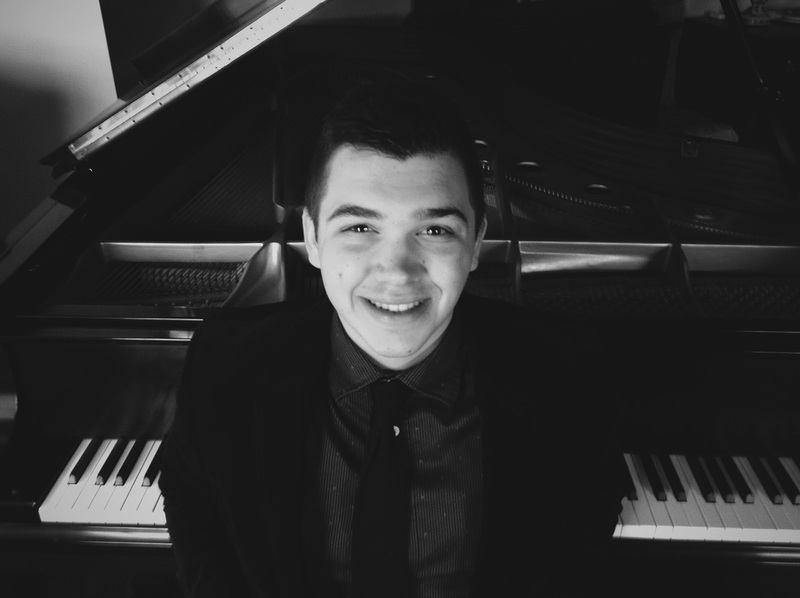 Danny Brown, piano, is currently a Junior at Oakdale High School (OHS). He started piano lessons at age seven, and has been working with Jenny Anderson at Virtuoso School of Music for two years. He is an ambassador for the Tacy Foundation, a nonprofit organization that invites young musicians to perform at hospitals and senior centers and give discounted lessons to elementary school students who wish to pursue a musical instrument. He won the 2017 Student of the Year award at the Virtuoso School of Music. He accompanies Oakdale High School's Show Choir and Pit Orchestra and has been recently accepted into the Academy for Fine Arts at Governor Thomas Johnson High School. This summer was his first year participating in the Intermuse International Music Institute and Festival. 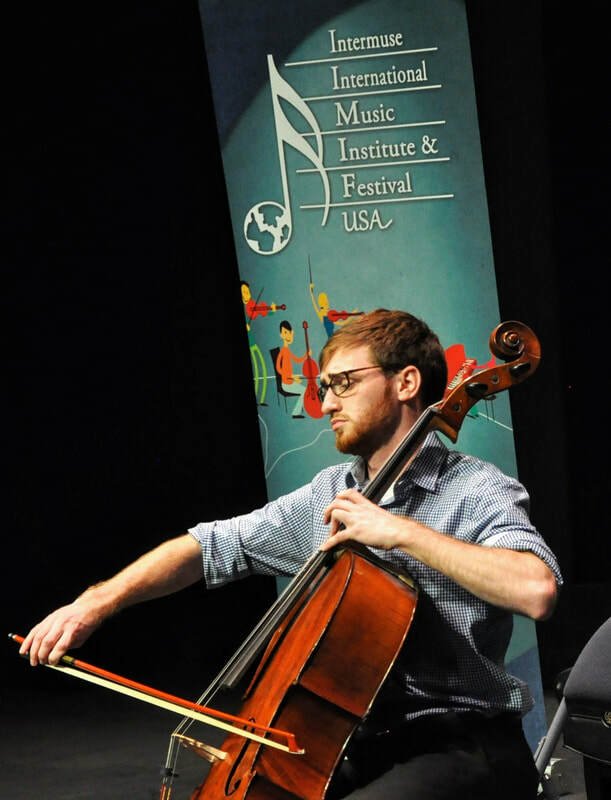 Cellist Peter Franklin is currently pursuing dual degrees in music education and cello performance at the University of Maryland where he studies with Dr Eric Kutz. He began studying cello at age 8 with Dr. Daniel Shomper. Since then, Peter has been fortunate to appear as a soloist at DAR Constitution Hall in May of 2015, and has been privileged to play in masterclasses for distinguished musicians including Darrett Adkins and Jonathan Carney. Recently, Peter received a full fellowship to participate in the 2017 National Orchestral Institute. 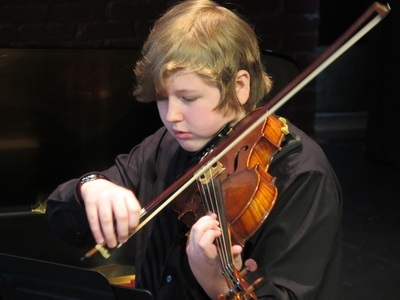 Later that same summer, Peter received a scholarship from the American String Teachers Association MD/DC chapter to attend the 2017 Intermuse International Music Institute and Festival. Liana Kai, age 8, is a third grade student at Bryn Mawr School in Baltimore. She began her cello studies at the age of four at the Peabody Institute. 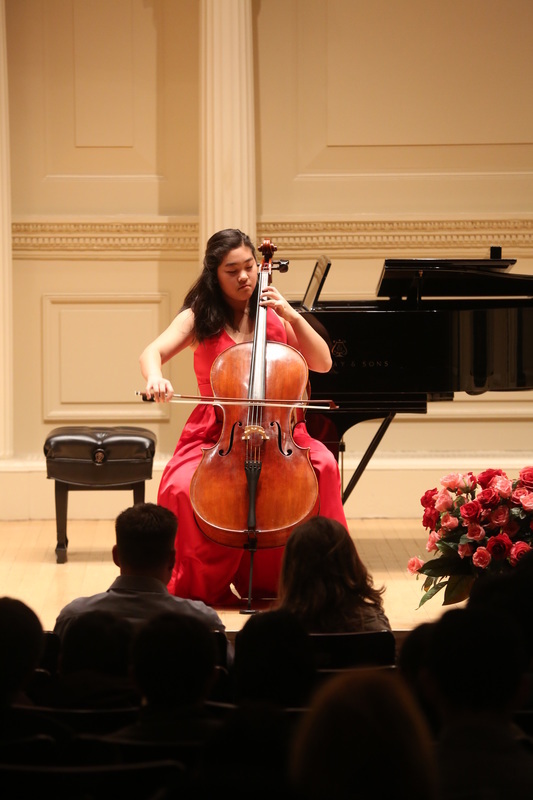 Liana has won the first prize at the MSMTA string competition, and been selected to perform in the special concerts at Peabody Institute numerous times. She has been awarded Achievement Awards, and is a recipient of Robert Resnick scholarship. Liana has been a member of the Peabody String Orchestra and Bryn Mawr String ensemble, and has been featured as a soloist several times. Liana also takes ballet lessons at the Peabody Institute and enjoys art, swimming, and playing with her little brother Tajo. William McIntyre is a junior at Marriotts Ridge High School in Marriottsville, Maryland. William started playing the viola in his third grade elementary school strings program and has been taking private lessons with viola specialist Joan Bob since sixth grade. William is interested in pursuing a career in music with a special interest in teaching. In high school, William has performed in the theatre production orchestra pit, the string quartet for the senior awards ceremony, and the graduation orchestra for the 2016 and 2017 commencement ceremonies. William also performs with both high school orchestras and leads the viola sections as well as assists in conducting. He is also a member of the Marriotts Ridge High School Symphony Orchestra. 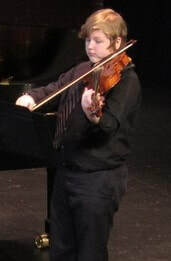 Outside of school, William has participated in the Howard County Gifted/Talented Orchestra program since 5th grade and is beginning his 3rd year as a member of the highly competitive Howard County High School Gifted/Talented Orchestra, who will again be performing with the world renowned Baltimore Symphony Orchestra in a side by side concert this school year. William has also been a returning member to the Maryland All State Orchestra. This is William's second year participating in the IIMIF summer program as well as in the IIMIF Showcase. Stephanie Petinaux, sophomore at the Our Lady of the Sacred Heart High School, is from Pittsburgh, PA. She began her piano study with her mom at age 5, and since 2008, she has been studying with Dr. Marina Lupinacci. Stephanie’s awards include Buono &amp; Bradshaw International Piano Competition, Marian Garcia International Piano Competition, Carmel International Piano Competition, Duquesne Young Artist National Competition, Pittsburgh Concert Society Young Artist, The First New York International Competition for Young Artists, Streator/Smith Memorial Award Competition, WQED FM Musical Kids Competition, and MTNA Junior Performance Pennsylvania State 1 st prize winner. She has performed at the Carnegie Weill Recital Hall in New York in 2016, and was invited to play by the Neighborhood Voices Radio and WQED FM Classical Music Station in Pittsburgh multiple times. Stephanie is the member of the OLSH Concert Choir. In addition to piano, she enjoys photography, tennis and cooking. An artist who plays with honesty and brilliance, Maria Adele Scott frequently performs as soloist, chamber musician, and collaborative pianist on the east coast. A Delaware native, she started piano lessons with her father at age 6, and later studied with Liliya Maslov at the Music School of Delaware. Maria entered the Peabody Institute of the Johns Hopkins University under the tutelage of Brian Ganz. She has performed as soloist with the Ambler Symphony, and in a variety of venues, including the Kennedy Center and Carnegie Hall. Maria is a scholarship recipient through the YoungArts Foundation. Maria has performed a wide range of piano ensemble repertoire and has extensive experience as a collaborative musician. She was a founding member of a chamber group at Peabody, and is employed as an accompanist for the Peabody Preparatory. Her ensemble experience includes everything from violin, to chorus, to tuba! An active church musician and passionate, experienced teacher, Maria is enthusiastic about bringing music to the community. She has spent several years volunteering as a church musician, in addition to various other chapel services. During her time at Peabody, Maria was a site-coordinator for Peabody's Creative Access program. This involved organizing, facilitating, and participating in numerous concerts at nursing homes and retirement communities in the Baltimore area. In addition to years of private teaching, Maria has been on the faculty as a Piano Instructor at the Baltimore School of Music since 2014. ​2016 Showcase Performance - Sunday, October 16 at 3:00 p.m.
Wyatt Garrett is 15 years old and a sophomore at Huntingtown High School. Wyatt plays in the Jazz band for school and also plays for other various functions at school including graduation. He is currently a student of the Garrett Music Academy and takes lessons from Mr. Bill Resnick. Wyatt has been taking private lessons since age 6. In 2015, he performed in the Festival by the River at St. Mary's College. Wyatt plays at his church, Jesus the Divine Word, on a regular basis. Wyatt is passionate about all genres of music. Some of his favorite composers are Claude Debussy, Frederic Chopin, and Duke Ellington. He enjoys playing classical and jazz music and plans to pursue a career in music. Kara Iwanowski made her debut as soloist performing Mozart's Concerto for Two Pianos together with her teacher (Elizabeth Borowsky) and the Susquehanna Symphony Orchestra under conductor Sheldon Bair. She has been a recipient of the Judy Famous Scholarship for four years, a winner of the Charlotte Nachman Piano Competition, and was a finalist at the International Young Artists Piano Competition. Kara began piano at age five, and has studied with pianists Joan Spicknall, Elizabeth Borowsky, Allen Good and Matthew Bachman. She has performed in masterclasses for pianists Brian Ganz, Frederick Minger and Joni Chan. Kara is currently a sophomore at the Baltimore School for the Arts. John McIntyre, Jr. is a sophomore at the University of Maryland School of Music at College Park, studying viola performance under Dr. Katherine Murdock and Dr. Doris Lederer. John performs in the UMD Symphony Orchestra under the direction of Dr. James Ross and is a member of the Phi Mu Alpha Sinfonia Fraternity. John committed to pursuing a music career as a freshman at Marriotts Ridge High School in Marriottsville, Maryland. John was principal violist in his high school orchestra program where he participated in both orchestras under the direction of Dr. Rosemary Lather. He was the first student to make the cross over from the orchestra curriculum to include both choral and band curriculums. John was also principal violist in the competitive Howard County High School Gifted/Talented Orchestra where he performed three side by side concerts with the Baltimore Symphony Orchestra. John was chosen every year of eligibility into the Maryland All State Junior and Senior Orchestras and was nominated for the All Eastern Orchestra. 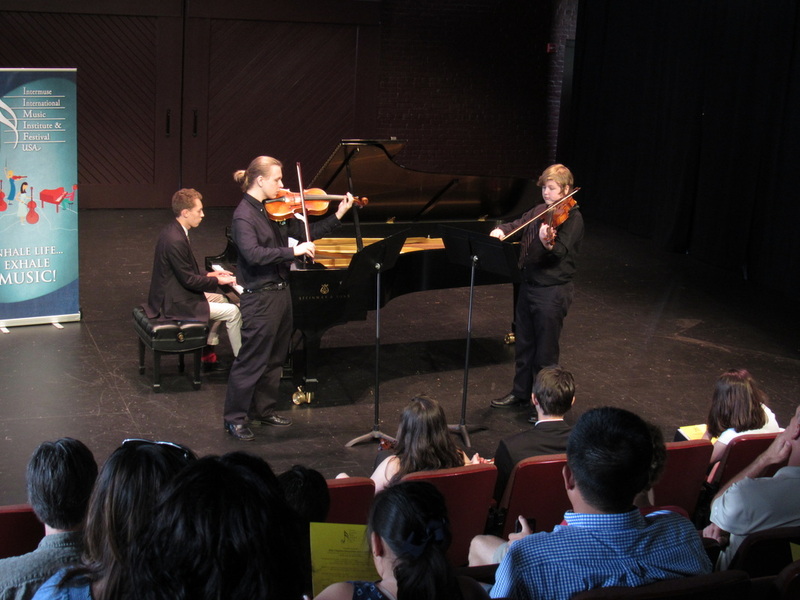 John studied privately with viola specialist Joan Bob beginning in 8th grade until his departure for college. 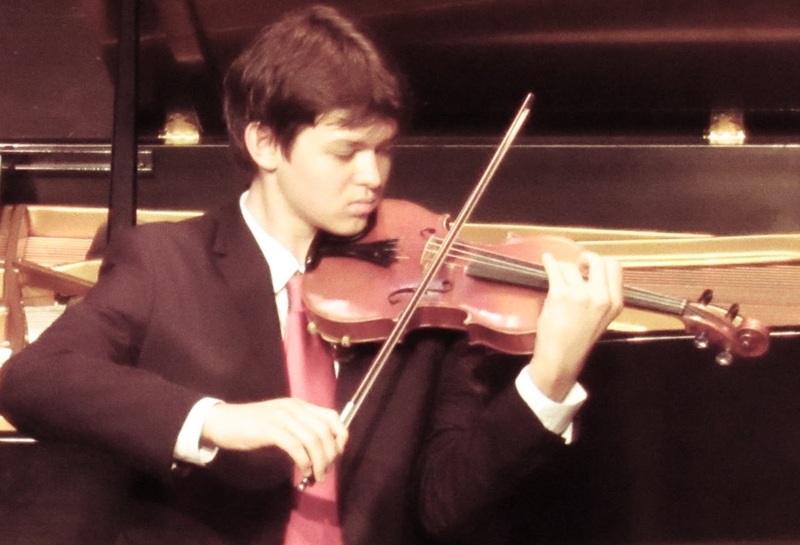 William McIntyre is a sophomore violist at Marriotts Ridge High School in Marriottsville, Maryland. William's goal is to pursue a career in music with a special interest in teaching. William is one of a handful of freshman in the G/T Orchestra at Marriotts Ridge under the direction of Dr. Rosemary Lather. They recently performed at The Kennedy Center. William also performed at the Midwest Music Clinic with the Howard County Middle School Gifted/Talented Orchestra in 7th grade. As a high school freshman, William performed with the theater production pit orchestra, the string quartet for the senior awards ceremony and the graduation orchestra for the 2016 commencement ceremony. William has participated in the Howard County Gifted/Talented Orchestra program since 5th grade and is a member of the competitive Howard County High School Gifted/Talented Orchestra this year where he performed in his first side by side concert with the Baltimore Symphony Orchestra. William has been a member of the Maryland All State Junior Orchestra all three years of eligibility and has been studying privately with viola specialist Joan Bob since 6th grade. Jackson Pope, 14, is a freshman at Yorktown High School in Arlington, Virginia this fall. 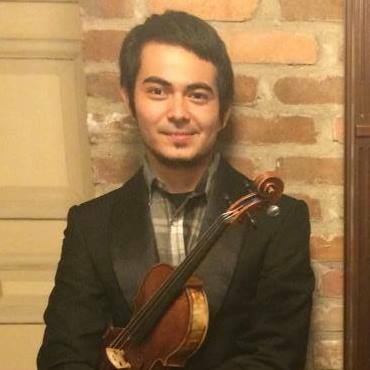 He began studying violin when he was four and has been a member of Amy Beth Horman’s studio for the last two years. He made his first public performance at the Waterford Festival in Loudon County, Virginia when he was 11. Since then he has performed at Carnegie Hall, on the Millennium Stage of the Kennedy Center, at the Netherlands, Italian, and Luxembourg embassies, and at the Inter-Harmony Festival in Tuscany, Italy. In November of 2014 Jackson was chosen to be a featured performer in a studio event with the Symphony of the Potomac and its conductor, Joel Lazar. He has been privileged to play in master classes for members of the Emerson String Quartet, renowned Juilliard professor Shirley Givens, and distinguished violinists Roy Sonne, MarcOlivia, and Jonathan Carney, current concertmaster of the Baltimore Symphony Orchestra. This past year he was the concertmaster for his school orchestra, a member of the 1st violin section in the Capitol Symphony Orchestra, and the concertmaster for the Arlington County Honors Orchestra. Piper Suk, a 9th grader, is from Bethesda, Maryland and has been playing the cello since 4th grade. Most recently, she was co-principal cellist in the symphony orchestra of Maryland Classic Youth Orchestras in the 2015-16 season. She has performed at venues such as Carnegie Hall, Strathmore Hall, and the Kennedy Center Millennium Stage. Piper was also a part of the 2020 String Quartet, which won first place in the Vivo International Music Competition (2014 and 2015), first place in the American Protégé International Piano & Strings Competition (2015), and first place in the Misbin Family Memorial Chamber Music Competition (2014). 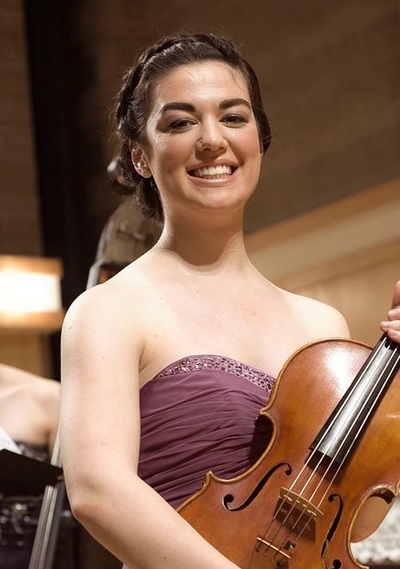 As a soloist, she has won second place in the Washington Performing Arts Feder Memorial String Competition (2015) and third place in the American Protégé International Concerto Competition (2015). Piper was recently accepted into the National Symphony Orchestra Youth Fellowship program. In addition to her music, Piper is also recipient of a four-year Merit Scholarship for her high school. 2015 Showcase Performance - Sunday, October 25 at 3:00 p.m.
Gray Scott, 16, lives in Bridgeville, Delaware. He started guitar with Christopher Braddock at the age of 9, then transferred to Douglas Seth at 14. Gray has won 1st place in the Salisbury Guitar Competition and two time winner, 1st place in Solo Instrumental at the Association of Christian Schools International (ACSI) Fine Arts Competition, Eastern Region. 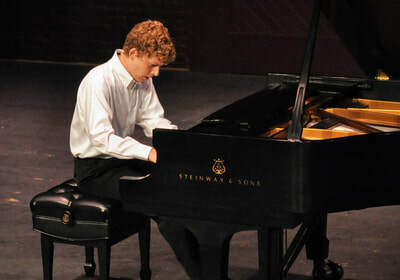 Most recently, he was recognized by The Royal Conservatory Music Development Program for obtaining the highest scores in the nation for which he received their Gold Medal. He has performed in master classes for guitarists Allen Krantz, Matt Palmer, The Los Angeles Guitar Quartet, and Benjamin Verdery. Gray began piano at the age of 6 with his father and, at the age of 10, began studying with Dr. Oleg Maslov. Since August, he has been a student of Dr. Daniel Weiser, Baltimore. 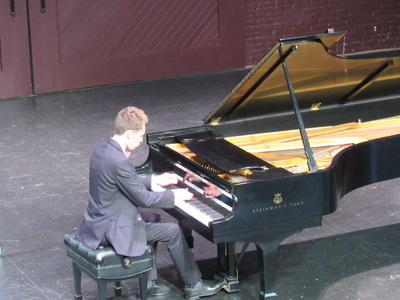 He has won 1st place in the Delaware Concerto Competition and is a two time, 1st place winner in the ACSI Fine Arts Competition, Solo Piano division. In the summer of 2014 he was selected to participate in the Eastern Music Festival in Greensboro, North Carolina, where he studied with William Wolfram. Recently he was awarded the Second Prize in The Stravinsky Awards 2015 J.S. Bach Piano Competition. This past summer he attended the Intermuse International Music Festival USA, where he studied piano with Elizabeth Borowsky. “He is quite a natural and communicative talent, who plays easily and with great personal sincerity.” Mr. Roger Shields, Executive Director, The Stravinsky Awards. 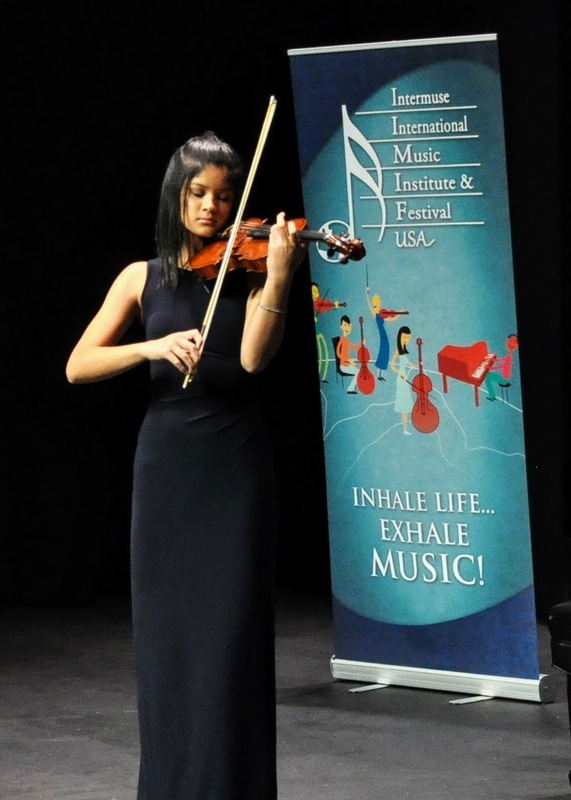 Stephanie Herdoiza is a violist from Silver Spring MD, who has attended the Intermuse International Music Festival USA for the past four years. Ms. Herdoiza is currently in her fifth year at Towson University studying Music Education and is also in the Honors College. At Towson, she has been studying under the tutelage of Dr. Sherrie Norwitz and started taking violin lessons with Dr. Howard last spring. Herdoiza has been principal violist in the Towson University Symphony Orchestra every year at Towson. Ms. Herdoiza has been part of a number of quartets and quintets at Towson under the direction of Professor Barczyk and Dr. Howard. 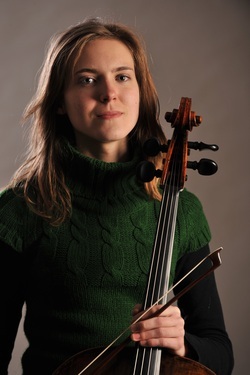 Some of the chamber works she has taken part in include: Schubert’s The Trout Quintet, Boccherini’s Guitar Quintet No. 4 in D Major, and Haydn’s String Quartet in G minor “The Horseman.” She also enjoys playing in the pit orchestra for various operas and plays at Towson such as The Magic Flute, Die Fledermaus, and Sweeney Todd. Ms. Herdoiza is an active member of the Towson Chapter of The American String Teacher’s Association (ASTA). She also has a private studio of violin and cello students. After graduating this coming spring, Ms. Herdoiza hopes to get a job teaching instrumental music in the public schools. Gustavo Fernandez was born in Santa Cruz, Bolivia. At the age of five was accepted to the Bellas Artes Music School, and at eight, becan his violin studies with Jiri Sommer and Carmen Luisa Blanco. He performed in the major cities of Bolivia as soloist, chamber musician, and was selected as the youngest member (and only current-student) of the Amati String Quartet of Bolivia. WIth youth orchestras he performed in several music festivals including the International Baroque Music Festival Misiones de Chiquitos and Contemporary Music Festival in Cochabamba. 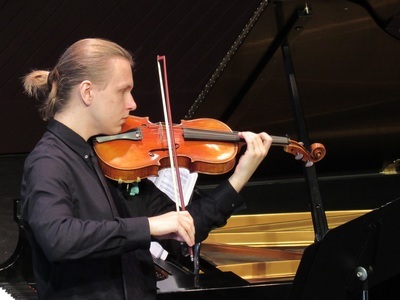 In 2012, he received a scholarship from Maestro Israel Getzov to study in America at the University of Central Arkansas. At UCA, his violin teachers have been Linda Hsu, Algis Staketvicius and Tatiana Kotcherguina. He participated in the Hot Spring Music Festival from 2012 to 2014. He played for the Bolivian Embassy in the USA in Washington DC in 2012. He played in master classes for Alexander Markov, John Corigliano, Oleh Krysa and Muneko Otani, and continues to work with Ms. Otani in New York City. In the summer of he 2015 participated in the Intermuse International Music Festival USA and the International Academy for the Arts. Gracing the stages of over twenty countries, cellist (and IIMIF Assistant Director) Frances Borowsky is quickly establishing herself as one of the most sensitive artists of her generation. The German newspaper, Heidelberg Rhein-Neckar Zeitung praised her as “very courageous...marvelously colorful, and performing with deep expression and a compelling temperament.” A dedicated citizen of the world, Frances embeds her memories of Norwegian fjords, Parisian chocolates, and friendly Belgian cows into the rich tapestry of her explosive interpretations. Recent performance highlights include solo recitals in Rome, a recital in Paris with pianist Georges Beriachvili, a concert as soloist with the Young Symphony Orchestra of Poland, performing in the The Krzysztof Penderecki European Centre for Music, and collaborations with faculty and students of the Alanus Hochschule for an interactive and interdisciplinary audiovisual performance at the senseLAB Symposium. Ms. Borowsky was the sole American participant in the 2014 Tchaikovsky Youth Orchestra Festival in Yekaterinburg, Russia, as well as in a project with Camerata Villa Musica at Schloss Engers in Germany. As a precocious college student, she graduated from the Honor's College of Towson University at eighteen. Her mother, acclaimed cellist Cecylia Barczyk, was her primary instructor from childhood through her studies at Towson University. Ms. Borowsky continued her education under Amit Peled at the Peabody Institute of John Hopkins University (MM), and recently earned a second masters degree from the Folkwang University of the Arts in Essen, Germany, where she studied with Alexander Hülshoff and Laurentiu Sbarcea. In addition to the above teachers, she has been mentored by prestigious cellists Janos Starker, Johannes Moser, and Michael Flaksman. She is currently enrolled in the Doctorate of Musical Arts program at the University of Maryland. Heralded by the press as “a brilliant young musician with a great personality,” Baltimore native Elizabeth Borowsky enjoys a versatile musical career as pianist, composer, educator, speaker, and recording artist. She has performed critically acclaimed recitals and concerts in over 30 countries spanning the gamut from Canada and Cuba, to Israel, Jordan, Ukraine, Germany, Estonia, and Indonesia. Elizabeth is a passionate musician who truly loves sharing music with people. She has proven to be equally comfortable performing at Carnegie Hall and the Kennedy Center as she is with community outreach concerts in public schools, retirement homes, community centers, and hospitals. She credits her parents with them being her role models, both in terms of their humanitarian and artistic work. Her mother is renowned cellist Cecylia Barczyk. Her father, Charles Borowsky, has utilized music as a tool in bridging together people and nations. Music and outreach have played such a vital role in the Borowsky household that perhaps it’s not surprising all three Borowsky “kids” are now professional musicians. The family performs together worldwide as “The American Virtuosi,” and they have been profiled in numerous publications, including Baltimore Style. Elizabeth has earned a reputation as an inspiring and effective teacher. She has taught at Indiana, Morgan State, and Towson Universities. 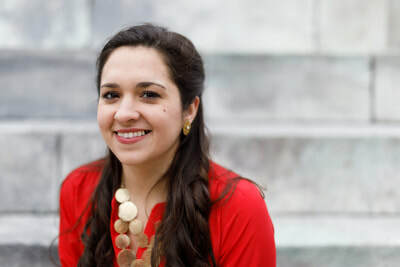 She is the founder of Piano Prodigies LLC, a program for developing the talents of young students, and has been honored for her work by the Maryland State Music Teachers Association and the Towson University Alumni Association. She is also Executive Director of the Intermuse International Music Institute and Festival USA. 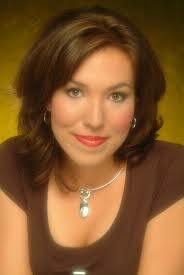 Ms. Borowsky studied at Towson University, Trinity College of Music in London, and Indiana University. Her primary teachers have been Reynaldo Reyes, Arnaldo Cohen, Ann Schein, Yonty Solomon, and Arno Drucker. 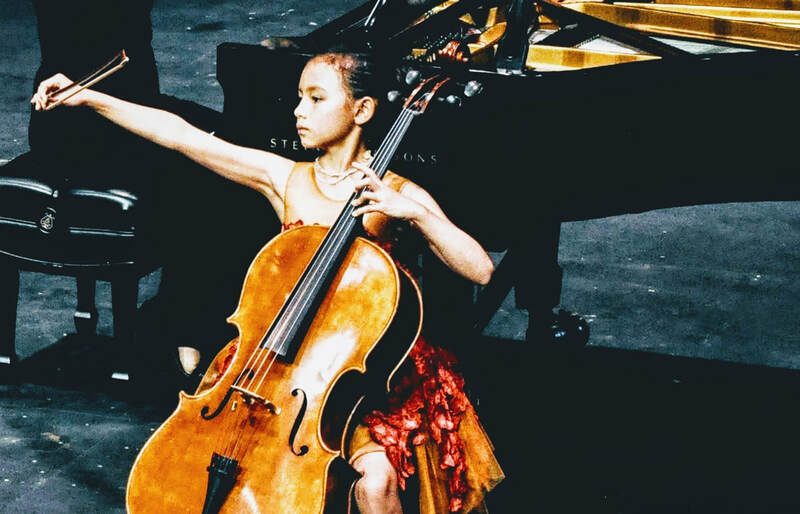 She received scholarships from the Chopin Foundation, Maryland International Education Association, National Foundation for Advancement in the Arts, Ford Foundation, and Kosciuszko Foundation. She is a registered yoga teacher and enjoys culinary improvisation, hiking, photography, and spending time on her parents’ farm. 2014 Showcase Performance - Sunday, October 26 at 3:00 p.m.
Joseph Comella’s love for the violin began at the age of two. He was inspired by Yo-Yo Ma’s cello performance on an episode of Mr. Roger’s Neighborhood. His first lessons were at the local Suzukki School of Music on a 1/16 size violin. When he was five, Joseph continued his instruction with Ellen-Maria Willis. Joseph began playing with youth symphonies at the age of seven and became concertmaster of the Three Rivers Young Peoples Orchestra Symphonette at ten. In 2011 he joined the Pittsburgh Youth Symphony, with whom he continues to play. He is also a member of the new Chamber Orchestra of Pittsburgh. They gave their inaugural concert this past September. 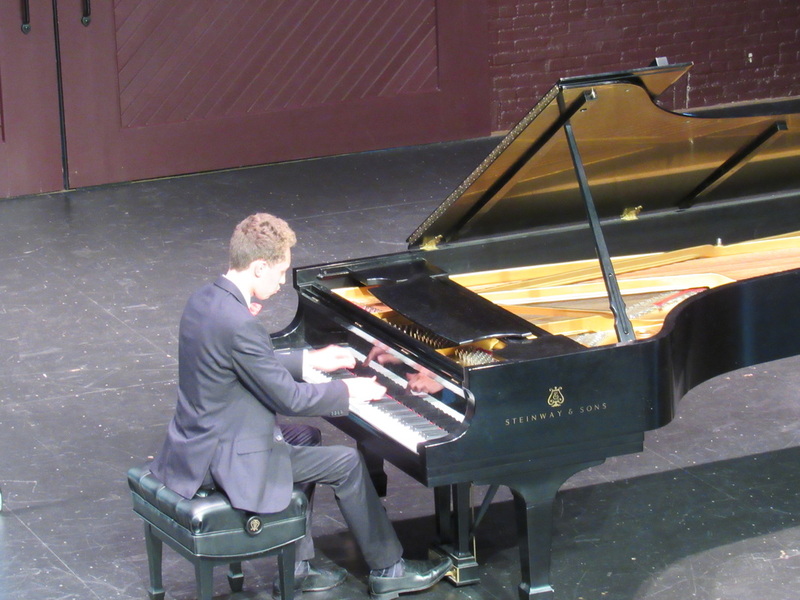 Between 2007 and 2014 Joseph won the Duquesne Young Artist Competition four times competing in ascending age groups. In 2013, he was the winner of the Pittsburgh Philharmonic’s Concerto competition, affording him the opportunity to perform the Saint-Saens concerto with them twice. Also in 2013, Comella became one of WQED’s Musical Kids. In the fall of 2013, Joseph competed in his first international competition, the 5th Moscow International David Oistrakh Violin Competition. This past summer, Joseph accompanied the Pittsburgh Youth Symphony on a tour of Europe. They performed in Prague, Bratislava, Vienna, and Salzburg. In August, he studied at the Cambridge International String Academy in the United Kingdom. Today Joseph studies with Cyrus Forough, a Carnegie Mellon University professor who himself studied under David Oistrakh and Josef Gingold. Fifteen years old, he attends the 10th grade at the Pennsylvania Leadership Charter School. Joseph is a fifth generation musician who plans to continue his musical studies and pursue a career in performance. His mother, Jennifer is a piano teacher and his father, Robert, is an IT consultant. Joseph and his parents live in the Pittsburgh area. Ben Freiert is a senior at Dulaney High School. He hopes to attend Towson University next fall as a music education major. When he is not playing the cello or in school, Ben can usually be found at the dojo doing Brazilian Jiu Jitsu. He started playing cello when, as a fifth grader, he was given the opportunity to pick an instrument for school. He plays in his school orchestra, as well as in a group called Dulaney Rhapsody that performs a variety of music at various charitable events. He plays both cello and bass guitar in his church student worship band and at his high school’s open mic nights. He was a participant of the International Music Institute and Festival USA in 2013 and 2014. He has studied with Frances Borowsky and currently is a student of Prof. Cecylia Barczyk. Kara Iwanowski is a 13 year old pianist from Bel Air, Maryland. She began playing piano at age 5. It is her musical mission to put a smile on the face of even the most disgruntled of personalities… and has proven to be very successful doing so both in formal and informal concerts. Kara's musical mentor and teacher is pianist Ms. Elizabeth Borowsky. With Ms. Borowsky's guidance and encouragement, Kara has frequently performed concerts in the Greater Baltimore region in churches, schools, retirement homes, and community centers. Most recently, they performed Mozart’s Concerto for Two Pianos with the Susquehanna Symphony Orchstra. Kara has participated in the annual International Music Institute and Festival (IMIF) four times, performing Mozart's Divertimento in B-flat Major, Trio in B flat major, and Quartet in E flat major with other participants of the program. For the last three years she has been one of a few select students chosen to participate in a 5-day, 7-concert marathon of performances for enthusiastic audiences throughout Maryland and Pennsylvania. As a student of IMIF, Kara has worked with renowned pianists and musicians including Brian Ganz, Jonathan Carney, Frederick Minger, and Jodi Chan. She has also performed in masterclasses for Catherine Rollin, Arno Drucker, and Reynaldo Reyes. Kara has earned awards in competitions, most recently the Baltimore Music Teacher's Association Charlotte Nachman Piano Competition (1st place, 2014) and National Federation of Music Clubs Junior Festival (Gold Trophy, 2014). 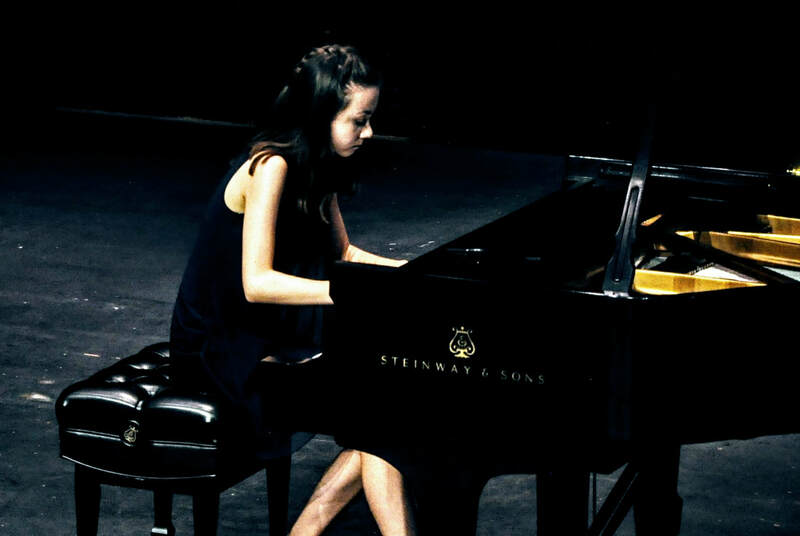 She has also received prizes in the Rockville Competition for Piano and Strings (2nd place, 2011), and was a finalist for the International Young Artists Piano Competition (2011). She has twice been awarded the Judy Famous Scholarship (2013, 2014), and in is a recipient of the Jordan Kitt's/Maryland Music Teacher Association Scholarship (2010). Some of Kara's extracurricular activities include playing in the Harford String Orchestra and Harford Youth Orchestra as a pianist, and teaching her 9 year old neighbors to play piano, which she has been doing for 2 years. Kara is currently an 8th grade student at Southampton Middle School. For high school, she hopes to attend the Baltimore School for the Arts. Back row: Mimi Rinaldi, Joey Comella, John McIntyre, Tony Plumer. Back row: Aleksandra Knepper (MC), Jenny Comella (accompanist), Joey Comella (violin), Elizabeth Borowsky (Executive Director, IMIF-USA), Natalie Williams (piano), Winnie Luo (piano) Yuka Kubota (violin).